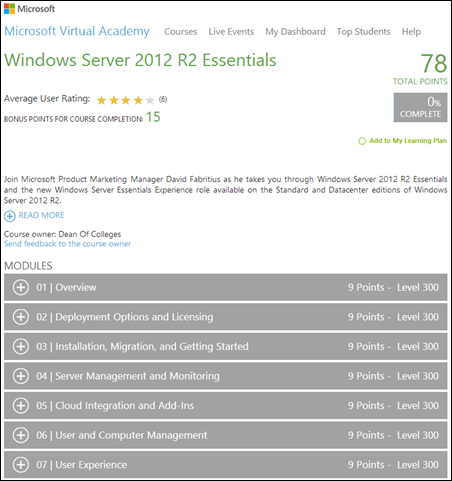 Server 2012 R2 Essentials is finally getting some love from the Microsoft Virtual Academy! 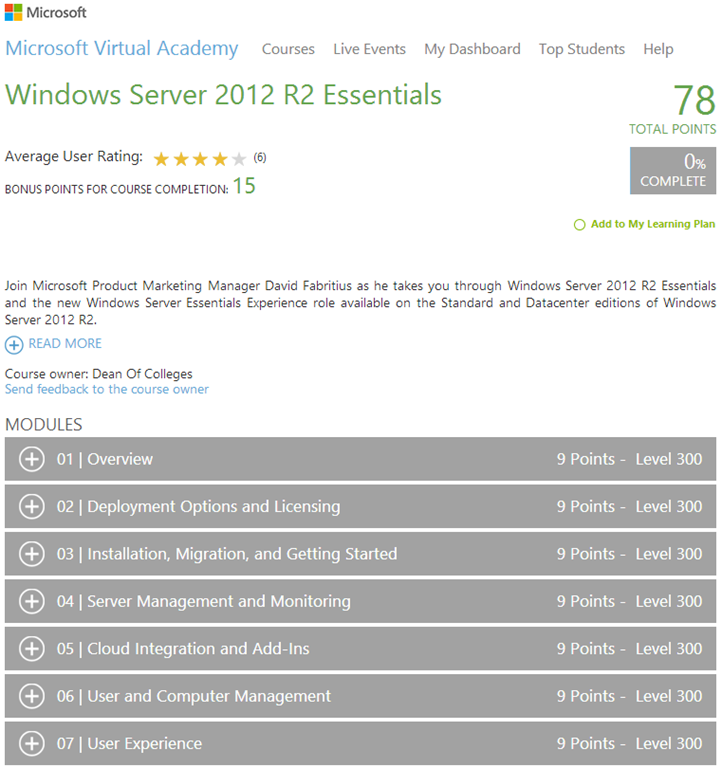 Behold: 4.5 hours of Essentials 2012 R2 goodness! Description: ​Join Microsoft Product Marketing Manager David Fabritius​ as he takes you through Windows Server 2012 R2 Essentials and the new Windows Server Essentials Experience role available on the Standard and Datacenter editions of Windows Server 2012 R2.